We have graduated our first 2016 Intensive Workshop students! 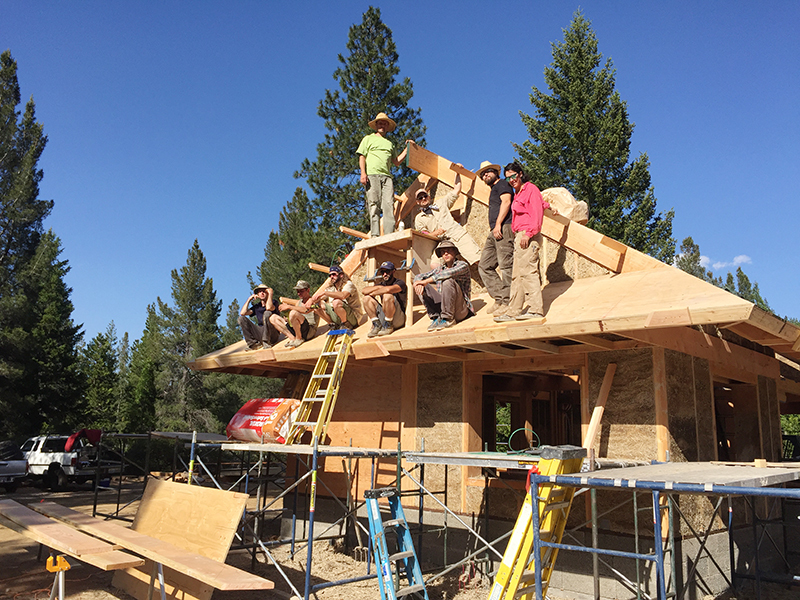 The students worked together and created a beautiful EcoNest shell near Mt. Shasta, California. 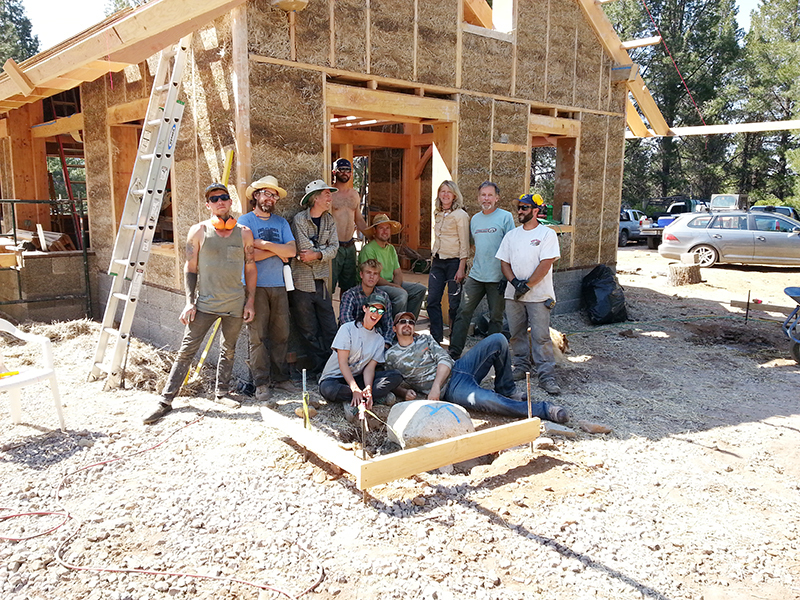 One of our Boot Campers, Kendall of Calgary, shared that he had been dreaming about natural building for years. 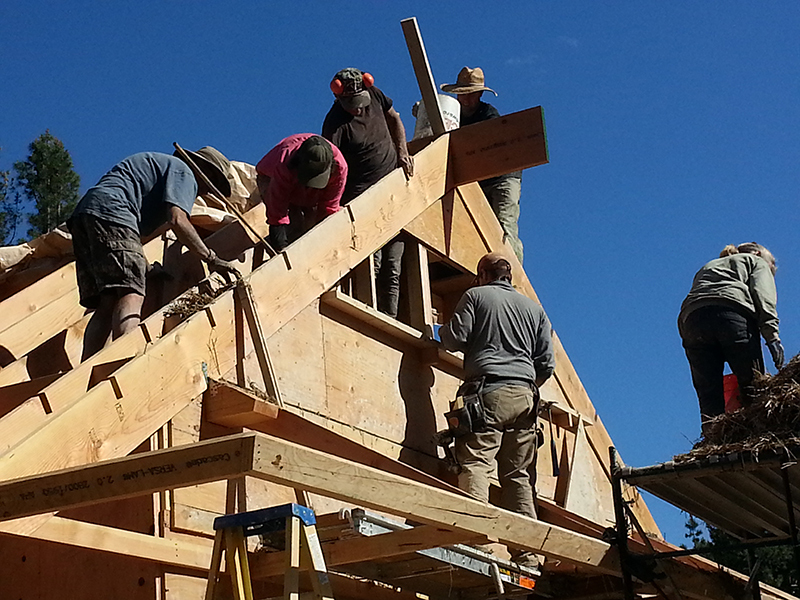 As he headed back to Calgary to continue his natural building journey he said, "This is no longer a dream. This is real." 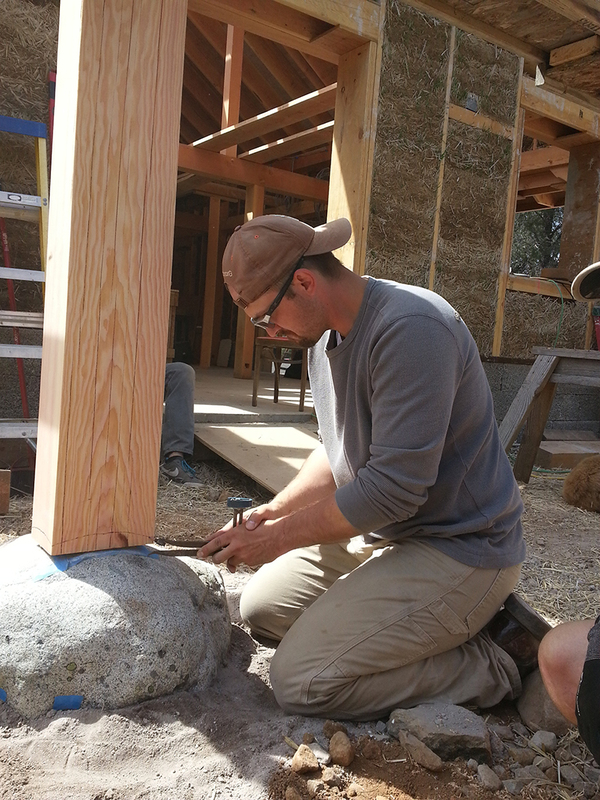 Kendal from Calgary, Alberta is scribe fitting the contour of the stone onto the bottom of the post.